I am Portuguese and I’ve never seen Lisbon until last week. I spent five days in the capital, and I’m going to write a post for each day. The first day was pretty uneventful. I decided to go to Lisbon by bus because there was no way I was going to take my car into that chaotic mess they call traffic. I arrived during the afternoon, and had a friend waiting for me at the station who helped me figure out how to use the urban transports. Later I hooked up with some other friends, one of which had a car, and she drove us for dinner to an awesome market. 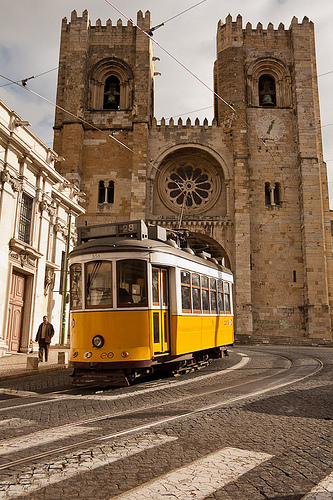 Trust me, there is nothing as hot as watching a Portuguese girl rampaging through the streets of Lisbon in a 16v VW with one hand on the steering and other on the gear shaft. Later that night I decided to go out for a beer in the most famous place in Lisbon for this purpose: the Bairro Alto. It is basically a maze of narrow streets full of pubs. I met a friendly group of Italians and we spent the night “sharing” our cultures. 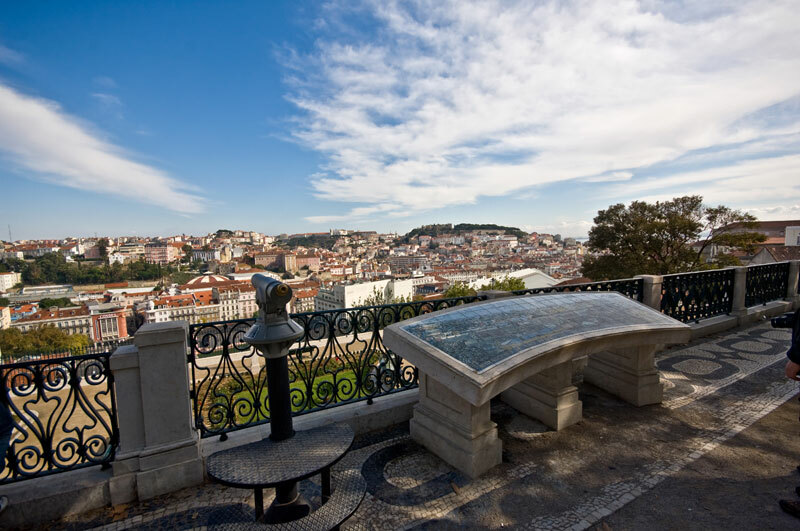 Right next to Bairro Alto there is a wonderful viewpoint where you can see the whole city. We stayed there for a while beholding that magnificent sight. I felt butterflies in my stomach while imagining how it would be to walk those historical streets during the next day.